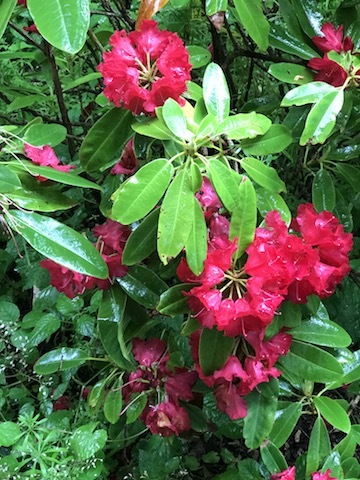 Rhododendron from an English garden. Taken in the pouring rain! Photo credit: Blogger’s own. I love photography because you get to freeze an interesting moment in time and preserve it. Since I’m a storyteller at heart and by profession, photography is a wonderful accompaniment to whatever story I relay to my readers. And if it’s a particularly good photograph, a photo tells its own story without the need for me to explain it. But I’m not content just to take a photograph — I want to take good photographs. I’m forever experimenting and searching for books that contain photography tips that I can use to further improve my photographs and make them more evocative. Nick Kelsh’s How to Photograph Your Life: Capturing Everyday Moments with Your Camera and Your Heart is one such book. Nick Kelsh is an award-winning photographer who has been featured in multiple magazines and books, and he’s written several books of his own about photography. What I like about the Photograph Your Life book is that it’s packed with tons of useful tips. Some pages also have examples of good/bad photographs, so you can immediately understand the principle under discussion and what a difference it makes when lighting, positioning or something else is adjusted. Also, all of the tips are explained clearly. It’s a very user-friendly book. So if you’re an amateur who just wants to create the best photographs possible, this book is a great choice. I highly recommend it. This book sounds great! I’ve always loved photography too. In fact, I’m starting a portrait business as we speak. 🙂 Or trying to! There is always so much to learn, but it’s so fun. I’ve put your book on my list of things to check out. And I look forward to seeing more of your pictures! Thank you! I have some great pics from my trip to England last year…when I can carve out some time, I’ll put them up!